Syncing data between Mac and Android is not an easy task, although possible. For example, if you need to sync calendar events between Mac and Android, you can sync them from Mac to Google and from Google account to your Android after. But what if you need to sync Mac calendar with Android directly, bypassing Google account (no Internet connection, for example)? SyncMate can do this for you. For free. SyncMate is a powerful sync tool that allows syncing data between Mac and Android directly - no need to transfer data to Google storage. 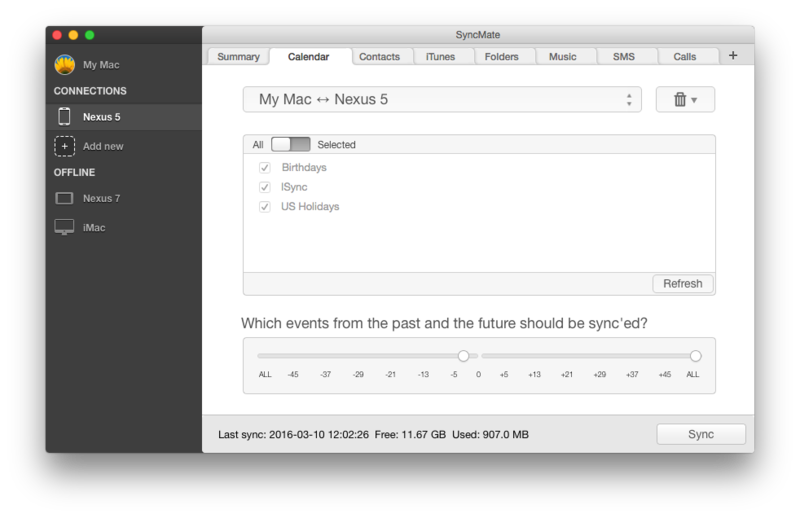 No matter what you need to sync - contacts, calendars, music, videos or even whole folders with files - SyncMate will sync it. Below are simple steps that will help you with syncing Mac calendar with Android without Google. 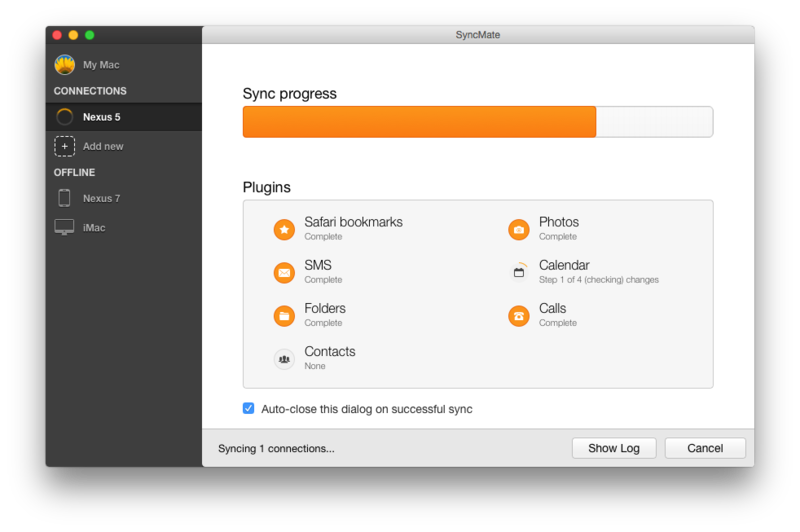 Download and install SyncMate to your Mac. Once SyncMate is installed, launch it to display the main window. In the left pane click “Add new” and choose Android device from the list of supported ones; connect it to your Mac. Press "+" button in the top panel and check the plugins list. Choose Calendars and specify sync parameters. If you need to sync calendars or contacts only, Free edition will be enough for you. But if you want to sync media or folders with files, etc., you will need to upgrade Free version to Expert. This can be done at SyncMate official website. 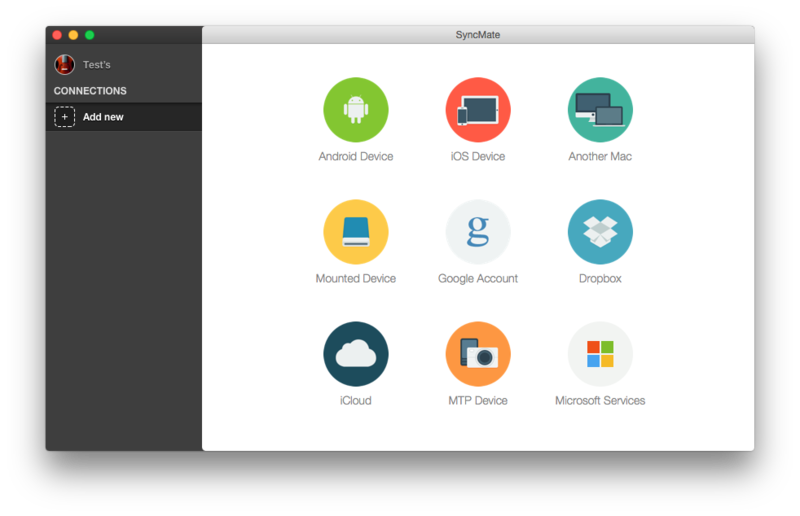 Besides mentioned above Android devices, SyncMate syncs data on Mac with iOS devices, other Macs, mounted and MTP devices, Google, Dropbox and iCloud accounts, Windows services (Outlook, Office 365). You can check the full list of supported devices and sync options offered for each device here. SyncMate requires OS X 10.8.5 and newer and is compatible with Android 4.x-9.x devices and iOS 5.x-11.x devices.